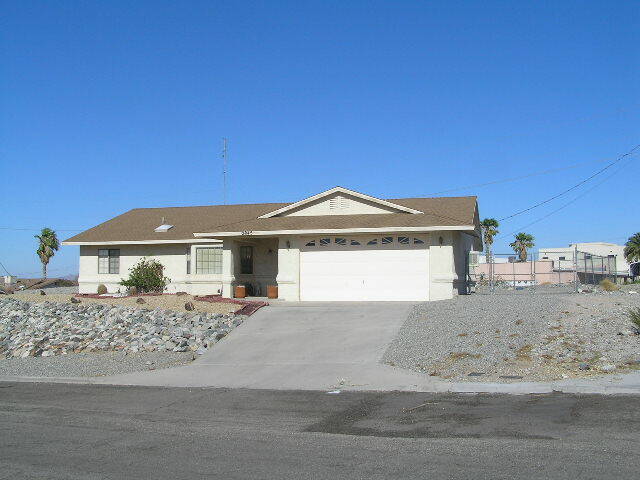 This freshly painted home, has all new carpet and tile with 3 large bedrooms,2 bathrooms and 2 car garage. Includes refrigerator,microwave,washer and dryer,oven,dishwasher and water softener. Has a fenced yard for pet run or R/V-Boat parking. Covered patio with lake view.